This past June Gerard, Merrilee and myself reached new heights in our online business by earning over $83,000 USD for the month. It’s an even bigger milestone for us because it translates to over $110,000 AUD and after deducting expenses it is still significantly more than we used to earn working in corporate jobs. People think that earning this much money for the month is one big lie because of all the hype, hot air and scams on the internet, but I want to breakdown the bulk of our sales and demonstrate the power of multiple income streams and earning high ticket commissions ($1000+), selling premium products. This is probably the easiest money you will ever make, but let me just say that you will need to build a list of subscribers before this is really powerful for you. We have personally made thousands of dollars just selling mid priced information products that can be instantly accessed or downloaded. No potage, no phone calls, NO HASSLE! The first product that we promote as affiliates of the SFM is an application that costs $29.95 and pays a commission of $20 per sale. We also sell memberships that earn us $200 commission per sale. With the purchase of an application you get access to exclusive SFM seminar footage, use of the DEA digital skills platform, Access to the SFM Introductory module and are allocated your very own business coach. The company has a high value of integrity and the application process allows the SFM to refuse anyone who may abuse this. For the month of June we were able to sell a total of 74 applications that earned us $1,480 in commissions. After purchasing an application you then have the option to upgrade your account to a Basic membership which will cost $297 + $97 per month. Basic memberships include all the step by step modules for the setup of your business, basic curriculum training, premium digital business lounge membership and rights to be a re-seller of their various product lines. We also sold a total of 52 memberships that earned us a total of $4,630 in commissions. Every basic membership that is sold by an affiliate of SFM entitles them to $200 commission and you also earn $20 passive income per month from $97 monthly subscription fee. For the month of June we were able to add an additional 50 members which now gives us a net number of members of over 160 that pays us $3,200 passive income from subscription fees. You might be wondering if there is actually anyone out there spending thousands of dollars online buying stuff? The answer is: YES! Hundreds and thousands of them. And you might not know right now how to do that, but the SFM have taught many of our students to do just that. The most premium product that SFM has to offer is there ELITE membership that costs $2,500 and when sold as an affiliate you earn $1,000 commission per sale. Being an elite member of the SFM is where you can now realistically be in a position to earn enough money to be able to replace your income and start living a digital life. I remember how hard and how many hours I use to work to be able to earn $1000 working a job, but after investing in our online education we wake up to these kinds of commissions on a regular basis. Having access to the elite masterminds where you learn from the best was invaluable to our business. We were able to sell 19 elite memberships for the month that equates to $19,000 in commissions for this 1 product. Apart from being affiliates for the Six Figure Mentors we are also affiliates and earn commissions selling products from the Digital Experts Academy. The four program levels are: DEA SILVER, DEA GOLD, DEA PLATINUM and DEA BLACK. The programs have been sequentially-designed as stepping stones to take individuals through the phases of starting a successful business, while leveraging the many tools available on the internet. With the DEA SILVER Program, individuals gain the potential to become marketing consultants and transition into self-employment. It is designed for those new to the digital economy who want to learn about the fundamentals of digital marketing. This 12-part program will teach students to become marketing consultants and help local businesses acquire new customers through the application of internet and social media skills. Students leverage the most recent, cutting-edge online marketing strategies and solutions, thereby having the ability to create full-time work for themselves. Costing $1,700 (discounted) to $2,500 (retail) the DEA pays its affiliates 40% per sale. We were able to sell 7 silver products for the month ranging from $680 - $1,000 commission for each sale. 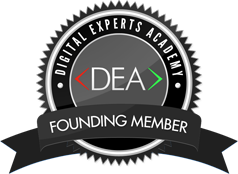 The DEA GOLD program is designed to assist its students in becoming financially independent digital marketers. This annual program provides ongoing weekly personal mentor training along with several two-day Digital Marketing boot-camps throughout the year. The Private 1 on 1 Skype calls with my mentors who were already running a successful online business and living the laptop lifestyle was crucial for our success today. A gold membership costs $6,600 at the discounted price were affiliates earn 40% commission per sale. We sold 6 gold memberships for the month earning us $13,200. The DEA PLATINUM program is designed to help your business come to life through our proprietary Personal Brand Incubator process. This aims to help people identify their true passion and purpose in life through the process of defining clear, succinct vision and mission statements. You attend a live, intensive, hands-on brand-building workshop where you will learn about branding and how it impacts your marketing. Also Conceptualise the vision of your personal brand Professional portrait reflecting and supporting your personal brand. A platinum membership costs $8,800 at the discounted price were affiliates earn 40% commission per sale. We sold 5 platinum memberships for the month earning us $17,600. Through the DEA BLACK Program, individuals learn to productize and commoditize their business and network with the industry elite. Included in this program is an annual mastermind retreat hosted by the founders Stuart Ross and Jay Kubbassek. A black membership costs $14,500 at the discounted price were affiliates earn 40% commission per sale. We sold 5 black memberships for the month earning us $23,200. In addition to the above sales we also earn 10% commissions on any DEA sales that the members we referred sell & $10 for there new members monthly subscription fees which make up the remainder of the sales for the month. Of course this is not all net profit and there is a risk free money back guarantee of which $1,740 was refunded with a marketing expense of $16,931.22, leaving us a net profit of $66,595.97 USD. Return on investments of almost 400% seems very unrealistic for most traditional offline businesses, but with the very low overheads that are required to run an online business (95% being marketing if using paid strategies) as compared to traditional businesses (rent, wages, electricity, supplies etc) these high margins can be achieved. Although this was our best month to date our overall ROI since starting this business together in October 2014 is over 200%. We also did not start with this much money for marketing, but instead pay ourself wages and then reinvest profits from month to month which is why our income continues to grow. It's Not Just About The Money... It's About the Lifestyle! Although the money we are earning now is great, it doesn't come close to the kind of lifestyle we are now able to live. No longer do we have to wake up to an alarm clock to get ready to go to work in a job that we don't particularly like, but instead can take our 24/7 business that is running on systems which we have created around the world. The most satisfying part of our business is helping other aspiring entrepreneurs escape the rat race, and start living there lives on there own terms. Even if thats just being an affiliate marketer selling premium products of the SFM and DEA, that will equip you with the skills to write your own pay cheque for life. Ready To Start Living Your Digital Life? If you want to be a part of something great with lots more potential to come then we would urge you to apply today. You will receive 6 hours online video training which explains what else the SFM provides in more depth. Just imagine what you could achieve in 8 months. Even it was half of our results, wouldn’t $100,000 be nice to have? Click HERE to submit your risk-free application and get started on your own life changing journey today! If you would like some more information before you apply you can also click HERE. Thanks for reading, please share and comment and we hope to work with you soon! P.S If you have already submitted an application to the Six Figure Mentors, or joined as member and would just like some guidance or advice, you can either email us directly at gerardandchrissfm@gmail.com or schedule a Free 15 Skype Consultation Call with us here.